The Globus family of brands is challenging travel agents to get active selling Avalon Active Discovery Cruises for a chance to win a free cruise. 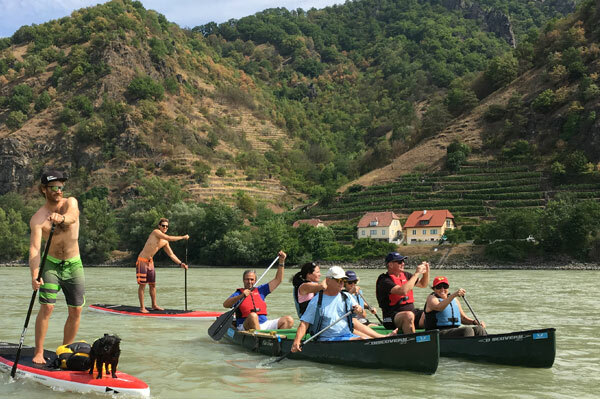 The agent selling the most 2019 passengers between May 22 and Aug. 31 will win an Active Discovery Cruise for four on his or her choice on the Danube, Rhine or Rhone River in 2019. And, Avalon will track all sales. “This is a great reason to introduce your clients to our concept of Active Discovery,” says Kim Clarke, director of sales for the Globus family of brands, who points out that on these cruises clients have the choice each day of an Active shore excursion such as a guided biking tour, a Discovery excursion which could be a food tour or very fun and informal painting classes, or a Classic walking tour with a historic cultural theme. Even better, clients don’t have to choose what they want to do each day until they wake up that morning. The concept has proven so popular that Avalon has expanded the program to include the Danube, Rhine and Rhone Rivers next year and added an on-board Adventure Host. Plus, for the first time, Avalon is making it easier to explore ashore independently by including a self-guided tour App and the free use of more bikes (16 per ship) or Nordic walking poles – and, on request, even a picnic prepared by the ship’s culinary team.